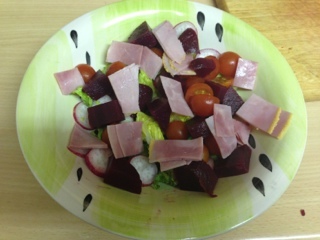 Slimming World Diary: Beetroot Salad ..
Tonight was just a quick beetroot salad, just thrown together. Also did my next week meal plan today. I unfortunately won't be getting lots of body magic in this week, went to the gym last night and got an hour and half in. I'm hoping this will be enough for the week.